Comments: NGC 4631 (also known as the Whale Galaxy or Caldwell 32) is an edge-on spiral galaxy in the constellation Canes Venatici. 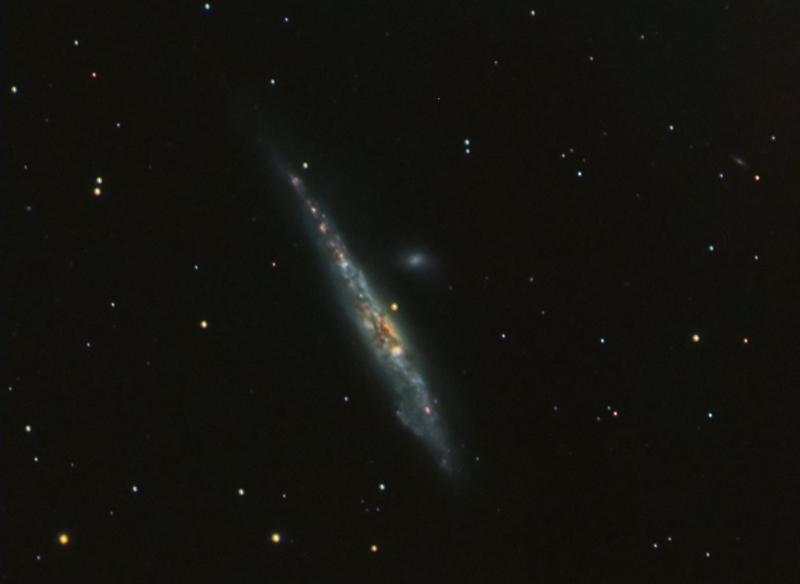 This galaxy's slightly distorted wedge shape gives it the appearance of a herring or a whale, hence its nickname. 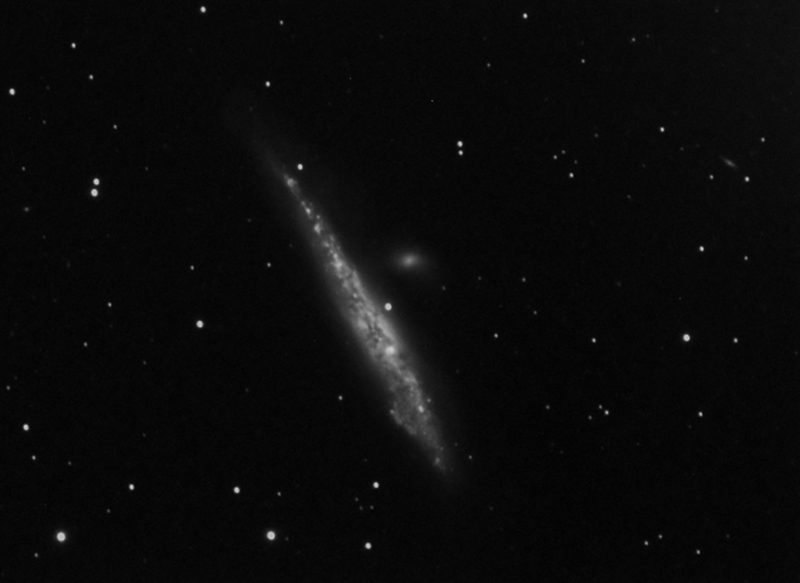 Because this nearby galaxy is seen edge-on from Earth, professional astronomers observe this galaxy to better understand the gas and stars located outside the plane of the galaxy. This image was a real pain to process. The colour balance was really difficult I think due to use of the CLS filter.